We are appreciative of the substantial amount of time MK David Rotem devoted to meetings with us, individually and collectively, during his visit to the United States to discuss the legislation he has sponsored in the Knesset dealing with conversion and the Law of Return. We also welcome Deputy Minister of Foreign Affairs Daniel Ayalon's participation in many of our meetings. It should, first, be emphasized that we deeply appreciate Mr. Rotem's stated goal in advancing the legislation - to ameliorate the bottleneck in the conversion process that currently keeps as many as 350,000 thousand olim (immigrants) from the former Soviet Union from converting to Judaism. The laudable goal of attempting to hasten the process of conversion for these individuals - who currently serve in the Israeli army and contribute positively to Israeli society - is one that deserves widespread attention and support. Together, we thank MK Rotem for his efforts in addressing this crisis. MK Rotem believes his proposed legislation would rapidly open the door to a faster conversion process. We respectfully disagree. Not only would this legislation fail to achieve his forecasted result, the collateral damage to the 85% of world Jewry who are not Orthodox (and perhaps others who are) would be disastrous to the unity of the Jewish people in a number of ways. The bill threatens to alter the Law of Return and consolidate conversion power into the hands of the Chief Rabbinate of Israel. Both of these results could have devastating effects on the relationship between Israeli and Diaspora Jewry and thus on the broader unity of the Jewish people. Such concentration of power in favor of Ultra-Orthodox Jewry effectively negates the roles of the non-Orthodox movements both within Israel and abroad, sending the message that only the Orthodox have a place within our Homeland. Specifically, the current formulations of Article 1 would legislate the role and status of the Chief Rabbinate in a way not previously written into law. Such legislation would turn back the clock on 20 years of hard-won accomplishments in the Israeli High Court and complicate future efforts to appeal to the Court, which has been the single mechanism to counter religious discrimination in Israel. This bill returns us to the destructive "who is a Jew" question, that has previously threatened to divide World Jewry, as it does today. To explicitly connect conversion to a single religious stream, while making no mention of other streams of Judaism, is by definition to compromise and jeopardize the Law of Return, as it places the decision for "who is a Jew" in the hands of one group. Such an action is inconsistent with the democratic ideals on which the State of Israel was founded and relies, and would detrimentally affect the worldwide Jewish community. Further compounding our concern is the fact that the bill mentions no alternative method of conversion via non-Orthodox streams. We - and more importantly, our Israeli colleagues and their lawyers - believe that this language, if adopted as written, would further marginalize and hamper the Masorti and Reform movements in Israel. This would be a tragic consequence as we offer vibrant religious alternatives to a nation of Jews religiously alienated by the increasingly extreme positions of a minority religious establishment. We firmly believe that any conversion legislation must explicitly address these concerns. We are additionally troubled by language that provides that any person who entered Israel while ineligible to receive Israeli citizenship under the Law of Return will remain ineligible following conversion. Though MK Rotem says this language exists to outlaw the possibility of illegal immigrants undergoing conversion solely to obtain Israeli citizenship and remain in the country, the reality is that this deeply troubling clause differentiates between those who are born Jewish and those who choose to be Jewish, amending the Law of Return to exclude those who have made a conscious decision to join the Jewish community. For 2,000 years, Judaism has treated Jews-by-choice the same as Jews-by-birth. We are taught "as soon as a convert emerges from the mikvah (ritual bath) she or he is Jewish for all purposes." (Talmud, Yevamot 47b) We see no justification now for differentiating between groups of Jews or including an article with such severe ramifications in the framework of a law purportedly dealing with easing conversion procedures. While we recognize the goals Mr. Rotem is working to achieve and deeply respect his efforts, we cannot lend our support to a bill that will have such devastating ramifications. This moment, when Israel faces a great many challenges, both at home and abroad, is no time to enact legislation that has the potential to divide the Jewish community or to alienate Diaspora Jewry. Even as we expressed our concerns to Deputy Foreign Minister Ayalon and MK Rotem, we also emphasized our steadfast love and commitment to the people and State of Israel. It is in this spirit of unity that we stand shoulder to shoulder with our colleagues in the Masorti and Reform movements in Israel and with one another. Indeed, it is our unconditional love for Israel as both a sovereign nation and a worldwide Jewish community that calls us to urge, in the strongest possible terms, upon MK Rotem, the Yisrael Beitenu party, and Prime Minister Netanyahu to withdraw this bill and introduce legislation that resolves the urgent problems of olim from the former Soviet Union without compromising either the core democratic values of the State or the Law of Return. JTA: "Divestment bills reportedly fail at two Calif. universities"
(JTA) -- The student government at the University of California, Berkeley fell a vote short in a bid to override a veto against a divestment bill. "We lost the vote, but won the night," read a statement on the CalDivest from Apartheid Web site. "We made a statement recorded for posterity and forced everyone to listen and watch what the nature of Israeli occupation is, to listen to Palestinian voices, from Palestine and from the US, telling their stories. These transcripts will stay preserved in recorded history, and we shall overcome." A vote April 15 failed to overturn student government President Will Smelko's veto of the Associated Students' bill, which was adopted 16-4 in March. However, following several procedural votes the bill was tabled, making it available again for reconsideration. The bill would have required divestment of students' association assets from General Electric and United Technologies, two companies cited frequently by Israel's detractors for complicity in alleged war crimes and perpetuating Israel's occupation. The San Diego bill was sponsored by several campus organizations, including Students for Justice in Palestine and the Student Sustainability Collective. The resolution identifies by name General Electric and United Technologies, "companies that materially support the occupation of the Palestinian territories." Unlike the Berkeley measure, the San Diego resolution also condemns human rights violations around the world, though seven of the resolution's 13 points specify Israel and its conflict with the Palestinians. Not in the way you think. This is written in praise of the RCA, not to score points for Agudah. (I wouldn't take sides – I have a high regard for, and work with, both.) If you can't take a tongue-in-cheek title, please read no further. The story, in the end, was not in the resolution that repudiated the ordination of women "regardless of title," but how they arrived at it. Before the vote, the delegates heard a shiur by Rav Hershel Schachter (Rosh Yeshiva of YU), shlit"a, who said that there were two reasons lehalachah that women could not be ordained. He saw such ordination as a violation of the issur of serarah, citing an Avnei Nezer that modern semichah is invested with power. He then drew gasps from the audience when he said that it was also a yehareg v'al ya'avor – because the Conservative movement had made egalitarianism a key plank in its platform. The resolution was a good reflection of where Centrist Orthodoxy stands on women's issues. It endorses greater opportunities for learning for its women, and is comfortable with women assuming many roles in professional and Jewish communal life. It nonetheless is mindful of the guidance and balance provided by the Torah's halacha and hashkafa. Agudah, people so often forget, means "coalition." Rather than a monolith of the yeshiva world, Agudah is a big tent, under which are gathered many factions and their leaders, often with very different viewpoints. The most difficult job within Agudah is pursuing a path that all members of its coalition can live with. The final result is often not the preferred path for any one of its constituents, but something they can all live with. 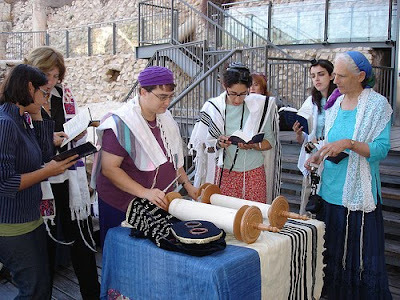 3) In light of the opportunity created by advanced women's learning, the Rabbinical Council of America encourages a diversity of halakhically and communally appropriate professional opportunities for learned, committed women, in the service of our collective mission to preserve and transmit our heritage. Due to our aforesaid commitment to sacred continuity, however, we cannot accept either the ordination of women or the recognition of women as members of the Orthodox rabbinate, regardless of the title. 4) Young Orthodox women are now being reared, educated, and inspired by mothers, teachers and mentors who are themselves beneficiaries of advanced women's Torah education. As members of the new generation rise to positions of influence and stature, we pray that they will contribute to an ever-broadening and ever-deepening wellspring of talmud Torah, yir'at Shamayim, and dikduk be-mitzvot. community to stand with them in working towards a Palestinian state. feel safe. I don't feel safe. shul. But why must it take bravery to go to my local university? This is a circus, to be sure. But it's not surreal - it's real. Tonight, it's green. And I feel alone, and marginalized, and scared. despite all that needs to be fixed there. I am in the green West, but my blue and broken heart is in the East. Please join me tonight at 10:30 at Pauley Ballroom on campus. I apologize for the late notice, but the agenda for tonight's ASUC Student Senate meeting just changed. They were to spend the bulk of the meeting allocating 1.6 million dollars to the student groups on campus, but just changed the agenda to focus on the bill to encourage the University to divest from Israel. (The DailyCal editorial last week condemned the student senate for devoting this much time to an issue that is not central to student needs.) ASUC President Will Smelko vetoed the bill two weeks ago, and last week I, along with two survivors, Consul General Akiva Tor, and an Israeli teenager spent hours at Hillel with the one student senator who had abstained from overturning the veto the week prior. This led to the upholding of the veto. Tonight, again, the proponents of divestment have plastered the campus in an effort to overwhelm the senators and try to get the veto overturned. Our family needs us. I know we have varying opinions about Israel, and I imagine a few Netivot Shalom members enjoy the other dimensions of our communal life more than focusing on this topic. But my heart is breaking, and I'm asking you to join me on campus tonight at 10:30pm when the student senate takes up this issue again. I ask you to join me there because the Jewish students on campus are feeling threatened. I'm asking you because wishing for and working towards a better Israel is different than denying its right to defend itself. I'm asking you to support the work of Hillel on campus. And I'm also asking you to see the interweaving of anti-semetic sentiment that follows this campaign, even if that wasn't the bill's original intent (though I believe it was). Last week saw rocks thrown through Oakland's Grand Bakery and Holyland Restaurant, as well as anti-Zionist vandalism on the East Bay Federation building. This is not about Gaza and Sderot. This is about our Jewish community, as it is always linked to Israel, as it should be. I just signed up to speak at this meeting. I will not attack anyone - that's not what Zionism stands for. I will ask for diversity to be the primary value of the student body at Cal Berkeley. We have prayed for the safety of the Palestinian People from our sanctuary on Shabbat morning. I pray we are being prayed for in return. And, in light of this attack on Israel, we need to stand together. I look forward to seeing you tonight on campus. The public forum on this bill is scheduled to begin at 11 PM in Pauley Ballroom. please consider the Ramah Mini-Seminar for Adults and the Ramah Jerusalem Day Camp, two of the many wonderful opportunities available through Ramah Programs in Israel. You will find more details below. In addition, we encourage you to scroll down to see the Yom Ha'Atzamaut newsletter sent earlier this month to participants and alumni of our Tichon Ramah Yerushalayim (TRY) high school program. The Ramah Mini-Seminar for Adults, July 11-15, is designed for adults (college-age and above) who have been to Israel before and who are looking for something different and in-depth. The Mini-Seminar is five day-long tours to less-traveled sights in Jerusalem, Tel Aviv and places in between. Participants are expected to arrange their own accommodations in Jerusalem, and each day they will be picked up and dropped off at a central location in the city. Price per person is only $500, which includes five full days of guiding, entrance fees and transportation. Click here for a complete itinerary, detailed information and registration form. The Ramah Jerusalem Day Camp is located on the beautiful, pastoral, secure campus of the Goldstein Youth Village in the San Simon neighborhood of Jerusalem, just ten minutes from downtown. Campers can look forward to an exciting co-ed day camp with daily tefillah, sports, arts and crafts, music, Israeli dancing, swimming, drama, exciting field trips, community service, and more! A hot kosher lunch rounds out the camp day. The Ramah Jerusalem Day Camp prides itself on its warm and welcoming environment within the framework of Jewish tradition. Free choice activities (chuggim) allow campers to explore their interests, and a CIT program for entering 9th and 10th graders is set to begin this summer as well. Click here for more information, prices, FAQ, and registration forms, or email the camp director, Melissa Ser. Scroll down to see the TRY Yom Ha'Atzmaut Newsletter. As עם ישראל celebrates 62 years of independence in Israel, TRY is happy to join in on the fun. This year's students are planning on enjoying the atmosphere in downtown Jerusalem on Monday night and then continuing the tradition of "על האש" or a BBQ on the beach near Tel Aviv. I have been told time and again by TRY alumni that they recall the experiences of the Yamim (Yom HaShoah, Yom HaZikaron and Yom HaAtzmaut) as some of the most special moments of their program in Israel. There is no better time or place than Yom HaAtzmaut in Jerusalem on TRY to feel the excitement and energy of the modern State of Israel. Now is the time to start identifying friends, neighbors, relatives who you think would be good candidates for TRY next year. If you know any 10th-12th graders who might benefit from what TRY has to offer, please forward them this newsletter or direct them to the TRY website (www.ramah.org.il/try) for more information. TRY 2010 includes some new twists on a great experience. For instance, as you will read below, we have revamped our Tefilah program - making it more interesting and dynamic. And we are partnering in a new tzedaka project with SHUTAF, a camp for special needs children here in Jerusalem. We have also added some more study time and designated study halls to encourage better study habits and academic results. Enjoy this issue of our newsletter and feel free to spread the word on the excitement and benefits of the TRY experience. The tefilah experience on TRY 2010 is truly innovative! We attempt to offer both an intellectual and emotional/spiritual experience through presenting special tefilah sessions which are facilitated by guest moderators. These sessions deal with issues connected to Jewish philosophy and the individual components of the morning tefilah service. We have also been privileged to have our Va'ad Tefilah (Tefilah Committee) organize special activities (such as Yoga Minyan and I-Pod Minyan, amongst others) for the entire group on Friday mornings, as well as musical services, which are accompanied by guitar with lots of singing. The tefilah program, which aims to help the students deal with matters of faith development in an informal, interactive and experiential way, is non-coercive and non-judgmental. It aims to create a safe space in which students can explore matters of spirituality and Jewish learning, without prescribing a particular Jewish path, but rather by guiding TRY students on their own personal Jewish journeys, wherever these may lead. TRY10 - What we have to say ... so far! TRY 10 - What we have to say.. If you're back in Israel come and join us for our annual TRY alumni event, reconnect with new & old friends. - Rachael Levin ('02) on her recent engagement. - Maya Newman ('02) on her recent engagement. This year on TRY our students are working smarter than ever. Weekly study halls, supervised by rotating members of the general studies faculty, give our students the edge they need to succeed. A later wake-up time twice a week allows students to get the sleep they need to do better in their classes. In addition, Israel Core Course teachers now have a formal role as homeroom teachers, greeting students first thing in the morning twice a week, checking in with them, and making sure they are on top of all their work, not just in ICC. Every night, at least 90 minutes are set aside for quiet homework hours. In short, students are getting the tools they need to succeed in their classes. Under the Program Designation drop down menu, please select "TRY Scholarship Fund." 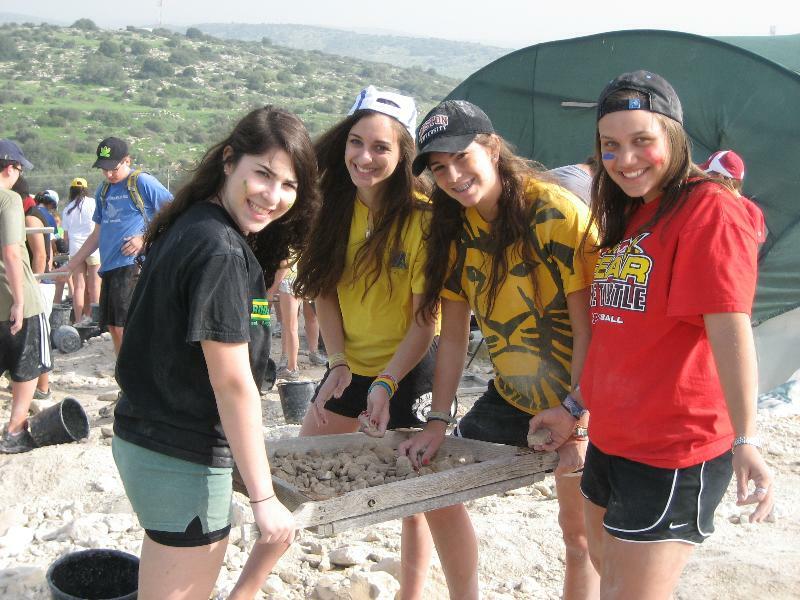 Ramah Programs in Israel, via email at ramahisrael@jtsa.edu,or by phone at 212-678-8883. Minister of Knesset David ("Dudu") Rotem is visiting now in the US (along with Deputy Foreign Minister Danny Ayalon) to convince Masorti/Conservative leadership that Rotem's proposal for a law regulating the conversion process in Israel will not disenfranchise our movement from conducting conversions in and out of Israel. If Rotem and Ayalon see that across the geographical divide, our movement speaks in one voice, and if they see that they also cannot succeed in driving a wedge between us and the Reform movement's leaders either by pretending to find us so much more authentic and reasonable than our Reform friends, then they will act to ensure that our concerns are reflected in the wording of the bill before it is brought to a vote. copycat divestment resolution at USSD - act now! This a request (below) from the UCSD Jewish student body, is shared through the Israel on Campus Coalition. A copycat divestment resolution—substantially identical to the one vetoed at Berkeley— was submitted to the ASUC at UC-San Diego. The vote is planned for Wednesday evening. Sign the petition here: : http://www.thepetitionsite.com/1/do-not-alienate-students. It has come to our attention over the weekend that Students for Justice in Palestine intends to submit a copycat divestment resolution—substantially identical to the one vetoed at Berkeley—to the ASUC, or student government body, at UC-San Diego. The vote is planned for Wednesday evening. The pro-Israel student group at UCSD, Tritons for Israel, is highly organized and has mobilized. Among other things, they have already created a Facebook page to rally pro-Israel students to voice opposition, and they have created a petition for students and community members to sign to urge the student senate to vote against divestment. While debates over symbolic divestment resolutions in U.S. university student governments should not dominate our efforts or dictate the agenda of the pro-Israel community, if there are appropriate resources or assistance that your organizations can provide, I invite you to contact your networks to provide reasoned and thoughtful support for UCSD's pro-Israel community. You may shake your head in disbelief at the news of the latest effort to segregate women in the public arena in Israel – but the fact is that it happened. Read the story below from the Jerusalem Post, or click on this link: http://www.jpost.com/Opinion/Op-EdContributors/Article.aspx?id=173638. This article by Yizhar Hess, executive director & CEO of the Masorti movement in Israel, appeared first in Hebrew in Yediot Achronot, the largest circulation daily paper in the country. This is significant because it means Masorti is making its mark with the Israeli public. Yediot Achronot would not have allotted the space if it was not perceived as an important Israeli issue. Help us promote pluralism and democratic values in Israel. Click here to go to our website to contribute online or mail your contribution to the Masorti Foundation, 475 Riverside Drive, Suite 832, New York, NY 10115. We've let the haredim take over everything concerning Judaism in the public sphere. Anyone who used public transportation to get to the Western Wall during Pessah was confronted with a new phenomenon. Attendants were on duty at all the bus stations. As each bus pulled in, one of them would approach and, using a megaphone, instruct the driver: "Driver, open the back door." The drivers obeyed. The attendants continued relaying instructions to the crowd: "Men in front. Women in back." The women left the line of people waiting to exit through the front door and made their way to the back door. The orders continued – "Men in front. Women in back" – until the lines were rearranged. The attendants, wearing bright yellow vests, stood beside the policemen who are routinely posted to guard the bus stations in the area of the Kotel, so they appeared to be part of the security forces entrusted with keeping the peace. Who was paying these attendants? On whose behalf and on whose authority were they there? No one knew the answer to these questions. The Egged bus company said that they had no idea who was responsible. The police were surprised at the question, as if it had nothing to do with them. The attendants themselves refused to respond. Their yellow vests bore no insignia of any kind, and there were no identifying markings on the small, state-of-the-art megaphones they held in their hands. They worked for a security company, which had simply been hired them to be there. We can, unfortunately, reasonably assume that we are the ones who are paying the bill, in one way or another and that public funds were involved. It was a well-organized, trained force. A militia. The revolutionary guard, if you will. If you had been watching a scene like this on a world news program, and the language emanating from the megaphones was Farsi, the language of Iran, rather than Hebrew, it would have been possible to gloss over this incident. But it happened in the capital of Israel, on the festival of freedom. Without being aware of it, this has become the reality of our lives. We have let the haredim take over everything that has to do with Judaism in the public sphere. The Western Wall has become a haredi synagogue; the entrances to it – not the plaza itself, but the entrance gates – are segregated, with huge signs separating men and women; the mehadrin (segregated) bus lines are already plying more than 100 routes, and not just in Bnei Brak and Jerusalem; in many cemeteries around the country, women, including the daughters of the deceased, are not permitted to follow the biers as they are moved toward the graves. Only men are allowed. Women must walk behind. This harassment has become the background noise of life here. Let's take the past year, for example and look at all the points where we have been shown the haredi interpretation of "what Judaism is all about": revoking of conversions; the decision of Rabbi Yosef Shalom Elyashiv that haredim are not permitted to donate organs essential for saving the life of another person, but they may receive such organs from others; "the Nahari bill," which obligated all local authorities to fund private, haredi educational institutions (and I wonder if any mayor would dare to defy this law and refrain from funding such local institutions given that the Interior Ministry is headed by Eli Yishai, the head of Shas); and of course the issue of the potentially enormous cost of relocating the new secure emergency room at Ashkelon's Barzilai Medical Center because of some unidentified ancient bones. Link all these points together and you will get the picture of our lives. Sad, but true. But, just a minute, let's consider the Barzilai incident as an example. Public pressure helped. The decision is being overturned. Anyone aware of the undercurrents that move the steaming lava of politics here has already noticed that something has changed. The public is waking up. The political party that succeeds in leveraging this trend of change right now will spearhead the courageous step of changing the electoral systems so that the power of the haredim returns to its true dimensions and position itself appropriately ahead of the next elections. It might even turn out to be a new political party. But caution must be exercised. The Zionist vision of the Jewish state, a vision that was able to combine nationalism and humanism, is slipping away from us like sand through our fingers. It is no longer Herzl who is turning over in his grave, it's Menahem Begin. Israel is changing. Like a stone tossed in the air, which imagines that it decides the path of its trajectory, we still believe that everything is under control. But it isn't. Our hearing has become dulled, but the music is deafening. Dailycal: "No Resolution Reached on ASUC Senate Divestment Bill"
thanks to rabbi adam naftalin-kelman, the rabbis of all the Berkeley shuls, two survivors who spoke last night and akiva tor's tireless (and skillful) work, the veto over the ASUC divestment bill held last night. i participated in the meeting with a few student senators along with those mentioned above, and assure you that our work is far from over. below is the dailycal article, and I ask all of you to send words of support to berkeley hillel (http://pages.berkeleyhillel.org/), and to support them financially if possible. They are, students and professionals, working 20-hour days to defeat divestment, and deserve chizuk from the wider Jewish community. After deliberating in closed session last night over ASUC President Will Smelko's March 24 veto of a bill urging the University of California to divest from companies that supplied Israel with materials used in alleged war crimes, the ASUC Senate failed to come to a consensus on whether or not to submit a new bill with similar objectives. After moving into a closed session for discussion at 8:40 p.m., senators discussed the bill and the motion to override Smelko's veto for more than two hours before returning to an open session and ultimately deciding to submit a new bill that could be placed on this week's agenda and referred to a committee where it would be considered on Monday. But the senators could not come to a consensus and the bill was not added to the agenda. Emiliano Vaughn-Huet and Tom Pessah--co-authors of the original bill--submitted a new bill at 12:35 a.m., but several senators wanted to discuss the new bill before voting to place it on this week's agenda. Student Action Senator and President-elect Noah Stern said at the meeting he was opposed to placing the new bill on the agenda because it violated procedural rules that state any bills being introduced to the senate must be submitted by Tuesday. The meeting continued with multiple recesses and another hour-long discussion of the new bill, but several senators still had reservations about the content of the bill. Student Action Senator Nhu Nhu Nguyen said at the meeting she supports the half of the bill that calls for divestment, but that she could not support the other half. "The issue is the specificity of the bill," she said at the meeting. "I agree with all the things that call for divestment, but the specificity is something I cannot agree with." Vaughn-Huet said at the meeting he felt there was no reason to proceed with the new bill because there would still be senators not willing to support it. "There's no point in trying to get the bill to committees because they won't vote to support it," he said at the meeting. "They are afraid or don't want to criticize Israel's human rights abuses." However, Student Action Senator Sandra Cohen said at the meeting she felt like some of the things discussed during closed session were not addressed in the new bill. "I feel like some senators' concerns were never met," she said at the meeting. "Just as you feel your time was wasted, I feel that my time was also wasted." Ultimately the senate did not place a new bill on the agenda to be referred to committees and did not vote on overriding the veto before the meeting adjourned at 1:33 a.m.
SQUELCH! party Senator Emily Carlton--a co-sponsor of the bill--said at the meeting she had hoped the new bill would be added and that she was disappointed with the results of the meeting. Cleveland Jewish News: "Conservative movement makes changes with eye on youth"
Conservative Jewish leaders acknowledge that recruiting, retaining and engaging younger members is an ongoing aim of the aging, shrinking movement. However, it's unfair to blame young Jews for not wanting to join synagogues or take on time-consuming leadership roles within the denomination when the movement's governing body is largely at fault, says Rabbi Steven Wernick, chief executive of the United Synagogue for Conservative Judaism. He was in Cleveland earlier this week to visit with local Jewish leaders. "They didn't abandon us; it's more like we abandoned them," Wernick, 42, told the CJN during an interview at B'nai Jeshurun Congregation. "We gave them a model (of Conservative life) and just told them to fit in." During his first year on the job as United Synagogue's executive vice president and CEO, Wernick has been working to streamline the organization with the long-term goal of making Conservative Judaism more attractive to prospective new members. The restructuring has included shrinking United Synagogue from 15 regions to six and eliminating five positions in the main office. The umbrella organization, which receives dues from individual congregations, had been too unwieldy, explains Wernick, a Philadelphia resident who replaced the retired Rabbi Jerome Epstein last July. The changes are meant to make the organization "smaller" and therefore more directly accountable to the synagogues it serves, he notes. While strengthening congregations continues to be United Synagogue's fundamental mission, making inroads with a new generation means refurbishing the programming available outside of temple walls, Wernick says. As part of the group's reorganization, United Synagogue will place programming for youth and young adults under one department as well as provide "seamless programming" for members as they grow within the movement, Wernick reports. For example, the group offers a continuum of social networking programs: Kadima and USY are geared toward middle-school and high-school students, followed by Koach for college students, and Kesharim for Jews in their 20s and 30s. Wernick's organizational restructuring includes plans to grow Kesharim, currently a small committee that offers minimal grants to burgeoning minyanim, into a larger body that provides more resources to young adults and emerging congregations. The idea is to directly impact young Conservative Jews by addressing their programming needs, Wernick says. "We have to cater" to this critical demographic, he adds. "The synagogue may be the most important portal of Jewish involvement, but it's not the only portal." Wernick, son of longtime Conservative Rabbi Eugene Wernick, has spent half of the last 12 months on the road, talking to leaders within the movement. A surprising theme of those conversations has been "the depth of the angst and concern about our future," admits the rabbi. The worldwide economic downturn is part of that worry, and has been exacerbated by the denomination's changing demographics. While United Synagogue estimates there are 1.4 million members in about 760 Conservative congregations throughout the country, the National Jewish Population Survey conducted by the Jewish Federations of North America reports that membership in Conservative synagogues fell from 43% of Jewish households in the late 1980s to 33% in 2000. The hoped-for makeover Wernick is spearheading will be difficult and will likely happen in stages, he notes. Kick-starting youth programming may only be one aspect of this sea change, but motivating the next generation of leadership to get involved will go far to boost other facets of the movement, he believes. "People want to see a transformation," Wernick remarks. "This is an exciting time for us." ynetnews:"Rabbis: Crisis with US Jewry dangerous"